The discography contains only CD’s. Vinyl records are not included. 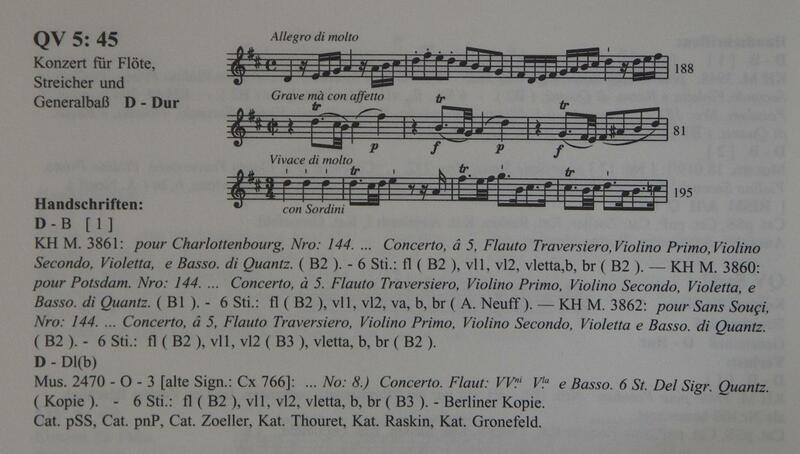 CD’s with only one movement of a concerto or sonata of Quantz are not added to the discography. Complete concertos and sonatas of the same works are available on other CD’s. A few CD’s with Quantz concertos, with the pan flute as solo instrument, are not in the discography. QV-numbering with the help of Meike ten Brink. ♫QV:OK means CD’s and QV-numbers are checked by Meike ten Brink and/or Feike Bonnema by using the information in the Quantz-Verzeichnis of Horst Augsbach.